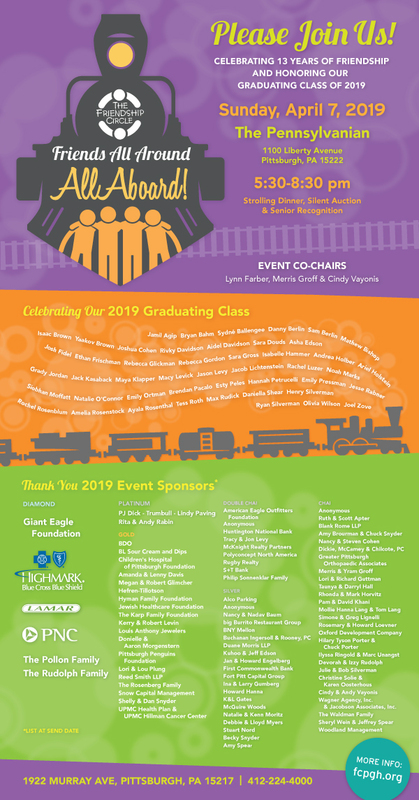 description: The Friendship Circle is celebrating 13 years of friendship on April 7th, 2019 at The Pennsylvanian. Join us for our annual fundraiser where we will honor our 2019 seniors. There will be a silent auction, raffle and strolling dinner. To RSVP go to www.fcpgh.org/friends-all-around.